Christina Majcher plays a prototype game using the Oculus VR headset during the Game Developers Conference at the Moscone Center in San Francisco, Calif.
Facebook is making a $2 billion bet that a virtual-reality headset will one day become the center of its users’ social lives. The largest social network on Tuesday said it is buying Oculus VR Inc., pushing into wearable hardware for the first time and stepping into a race with Google Inc. Irvine, California-based Oculus makes a ski-goggles-like device called Rift, now used for playing games, that eventually could immerse people in experiences like classes and sports events. Facebook Chief Executive Officer Mark Zuckerberg is following Google in seeking growth beyond smartphones and tablets. While Apple Inc.’s iPhone and Google’s Android mobile devices dominate today, developers are looking for new gadgets to showcase wares and are focusing on the more lifelike experiences that Oculus provides, Zuckerberg said in a blog. Facebook agreed to pay $400 million in cash and 23.1 million shares for Oculus, as well as an additional $300 million if the startup achieves certain milestones. The deal follows a spate of acquisitions that Facebook has used to build up its mobile business. Last month, the company agreed to purchase messaging application WhatsApp Inc. for $19 billion. In 2012, Facebook bought mobile photo-sharing program Instagram for about $700 million. The 10-year-old social network, which held an initial public offering in 2012, has completed or announced more than 40 acquisitions valued at a total of more than $21 billion, including WhatsApp, Oculus and a $550 million deal for a Microsoft Corp. portfolio of patents, according to Bloomberg. Facebook had $11.4 billion in cash and investments at the end of 2013. Facebook shares closed down almost 7 percent, or $4.51, to $60.38 on Wednesday. 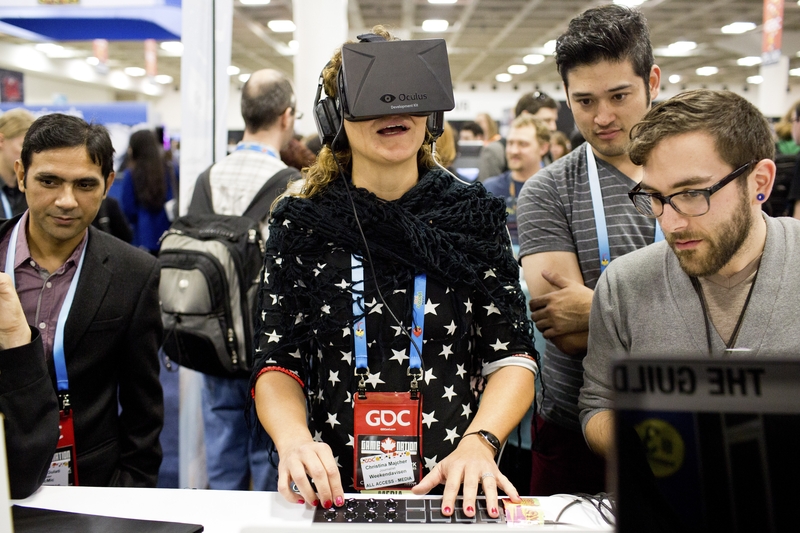 Oculus will be competing in a crowded wearable-technology market. Google is rolling out Glass, which are spectacles with smartphone capabilities, and teamed up with Luxottica Group SpA, which owns eyewear brands such as Ray-Ban, to help the product go mainstream.